Sony RX10iii. Yes, but is it really a P&S superzoom? Sony RX10iii. Wild flowers. 600mm macro at f4. The big features on this new offering in the RX line are the sensor: the newest 20mp, 1 inch sensor with the digital signal processor right on the back of the chip…and the zoom: a 24-600mm, f2.4-f4, ZEISS VarioSonnar design. Farmington Falls in Farmington Maine. In-camera HDR. 6 stop difference. -1.3 EV. Program shift for slow shutter speed. Processed in Lightroom. The sensor gives the camera better image quality (by far) than any P&S sensor camera to date, fast and sophisticated jpeg processing, and exceptional video features, including well implemented 4K and ultra slow-motion recording. The increased IQ is not surprising considering that the sensor area is 4 times that of the Nikon P900 and its like, and the individual light receptors (all 20mp of them) are also 4 times bigger. And it is absolutely the latest technology from the undisputed leader in sensor design (many DSLRs (not to mention P&S and phones) have Sony sensors inside, no matter what the brand name on the outside), which means that Sony is able to nurse near APS-C image quality out a sensor 1/3 the size. The lens, in theory, provides the reach to put this camera in the super-zoom category…though it is pitifully short by today’s Point and Shoot super-zoom standards where 1200mm is the norm, 1440mm is becoming common, and the Nikon P900 reaches 2000mm. Still 600mm on a DSLR is considered a super-long lens, and it is the most common lens used in bird and wildlife photography. And the ZEISS lens is an f2.4 to f4: a fast lens by any standard, and super fast for a super-telephoto zoom. Northern Perula, Magee Marsh, OH. 600mm at f4. Cropped slightly and processed in Lightroom. The only other camera with a 1 inch sensor and a zoom that reaches 600mm equivalent is the Canon G3X, which requires an add-on Eye Level Viewfinder (EVF) for practical bird and wildlife use. Performance of the Canon lens is generally rated somewhat mediocre, and its jpeg processing features (in-camera HDR, sweep panorama, etc.) are very weak when compared with the Sony. The third 1 inch sensor “super-zoom” offering is the Panasonic Lumix FZ1000 (or Leica Typ 114 which is practically identical). The FZ1000 has a Leica designed 25-400mm zoom, which is generally rated above the Canon zoom for performance, but is considered somewhat soft at both ends of its zoom range…and it lacks, imho, the reach to really be in the super-zoom class. I like Sony cameras. I carry the Sony HX90V as my landscape, occasional macro, and people shots camera along-side the Nikon P900, since it does both in-camera HDR, and tel-macro, better, and is less obtrusive at parties. And it is small enough to fit in a pocket. Prior to my Nikon P900 my superzoom was the Sony HX400V. 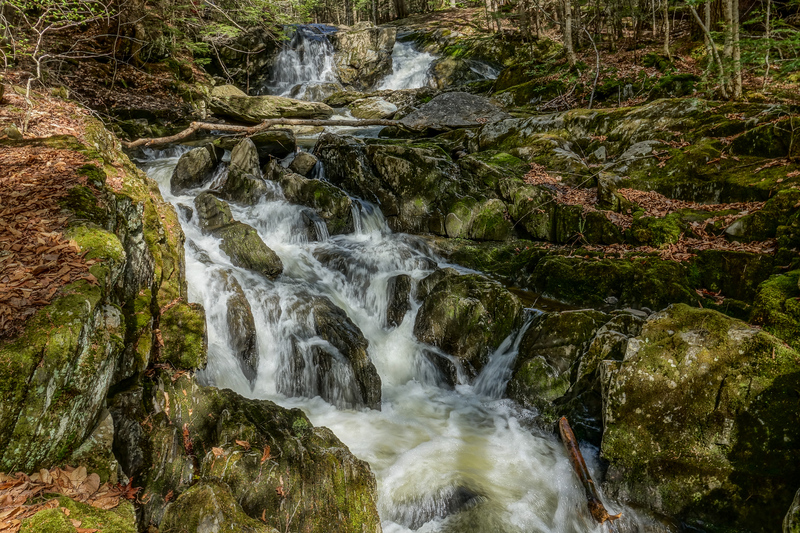 Landscapes, especially HDR landscapes, have become a large part of my work over the past two years, and, while I like the HX90V for its images and size, I know that that the P&S sensor is limiting the detail that can be rendered in those big expansive views. 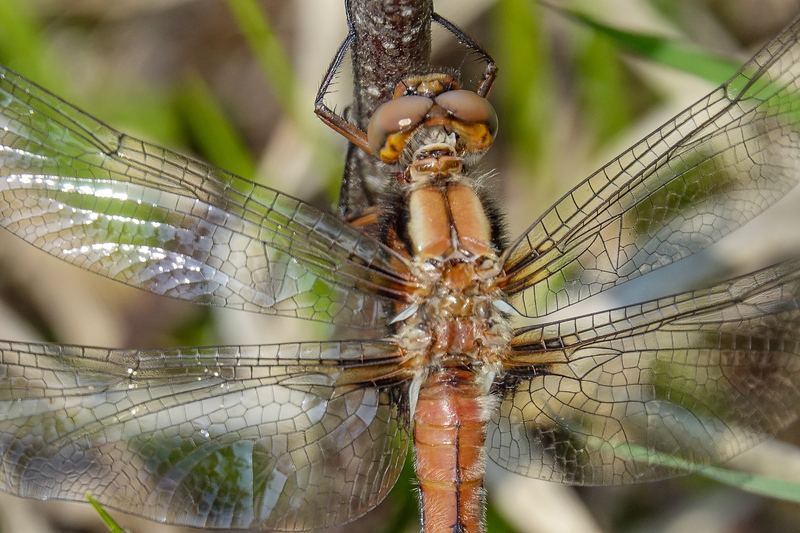 And, while the HX90V is better at tel-macro than the P900 (close focus 7.5 feet vs. 16.5 feet) it is still not the ideal butterfly and dragonfly shooter. So, when the RX10iii was announced, and when I read that it also has excellent macro focus at 600mm (28 inches), I was very interested. Aurora Damselfly, freshly emerged. Emmons Preserve, Maine. 600mm macro. 2x Smart Digital Tel-converter for a 5mp image at 1200mm equivalent from about 3 feet. Focus fine tuned using Direct Manual Focus (DMF). Great for macros. In the time between announcement and delivery of the Sony RX10iii I had an opportunity to play with, and shoot with, both the Canon and Leica 1 inch zoom offerings for long enough to know that the Canon was out of the running, and that I could certainly learn to love the Leica/Lumix, despite its short zoom. The deep breath was necessary because the camera is expensive: at $1500 almost twice as expensive as the Lumix or Canon, and three times the cost of even an expensive P&S super-zoom. And it is big: considerably bigger than the Canon 3GX, the same size but heavier than the Lumix FZ1000, and both slightly bigger and quite a bit heaver than my Nikon P900…the biggest P&S super-zoom to date. Still…once I had handled the RX10iii, run through the menus and explored the features, and especially once I had processed a few of the images, my fate was sealed! As I mentioned, I like Sony cameras, mainly because of the range of control provided over features like Dynamic Range Optimization, in-camera HDR, Creative Styles (jpeg processing profiles that can be fine tuned for saturation, contrast, and sharpness), and special features like Anti-motion blur for party shooting. Sony provides enough control over the jpeg processing so that I feel no need of RAW. 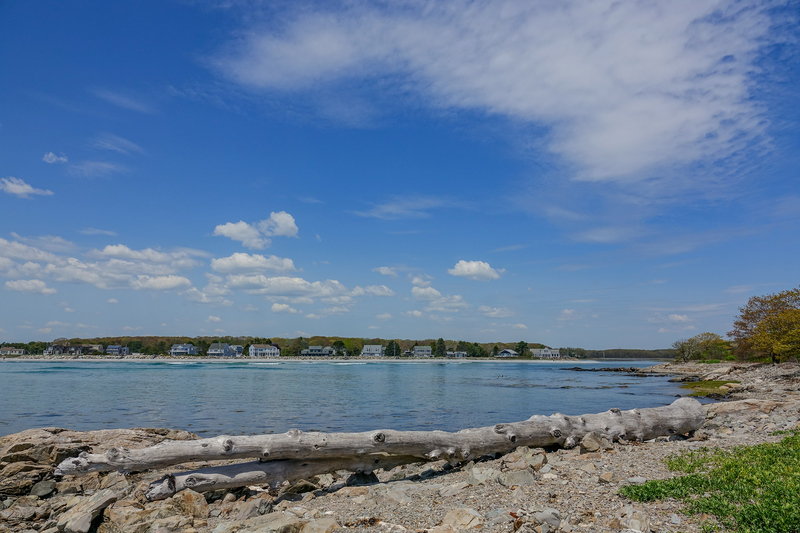 (The RX10iii does record RAW and RAW plus jpeg, but I prefer to use the features built into the jpeg process…DRO, HDR, Anti-motion blur, etc….I am a Point and Shoot photographer at heart, and it fits my workflow in post processing better.) The RX10iii has all the Sony features, and since they are essentially in the same place in the main menu and function menu as they are in the HX line, I quickly felt right at home. One of the benefits of the big body on the RX10iii is the range of physical controls provided. You have 3 Custom Buttons, a big button on the lens, two control rings on the lens, a control thumb-wheel upper right on the back, a dedicated Exposure Compensation wheel far right top, and a four position switch for focus modes. This is in addition to the normal Auto/PSAM etc. control dial on the top left, and the 4 way rocker switch surrounding the multi-function button on the back. And it is all totally customizable. Do you prefer the wider lens ring for focus (as I do)? Or you prefer right to left for close and far focus? Just set it so. Do you want easy access to the metering or focus area settings? Assign them to Custom Buttons. Are you used to having ISO on the right rocker switch (it is there on a lot of cameras). Assign it! You find yourself using the built in Smart Digital Tel-converter a lot? Put it on the lens button. Don’t like the arrangement of the functions in the function menu? Change it. It takes some time, and some experience with the camera, but you can set the Sony RX10iii up to match exactly your shooting style and needs. And the camera, in your hands, just feels solid and serious. Heavy, yes, but well balanced (and light compared to any other rig with a 600mm f4 attached). Sony says the body is dust and moisture resistant, and I can believe it. This feels like a finely crafted machine. Picking up my P900 or P610 after…well, I love them, but they feel like toys. It is just that the RX10iii is so clearly a cut above them in build quality. It would have to be, of course, at least in part, to justify the price! And that brings us to image quality. Again, there are two contributing factors: the sensor/image processing engine (since I shoot jpeg), and the lens. The follow two pics show both the P900 and RX10iii at their best…at least for wildlife. 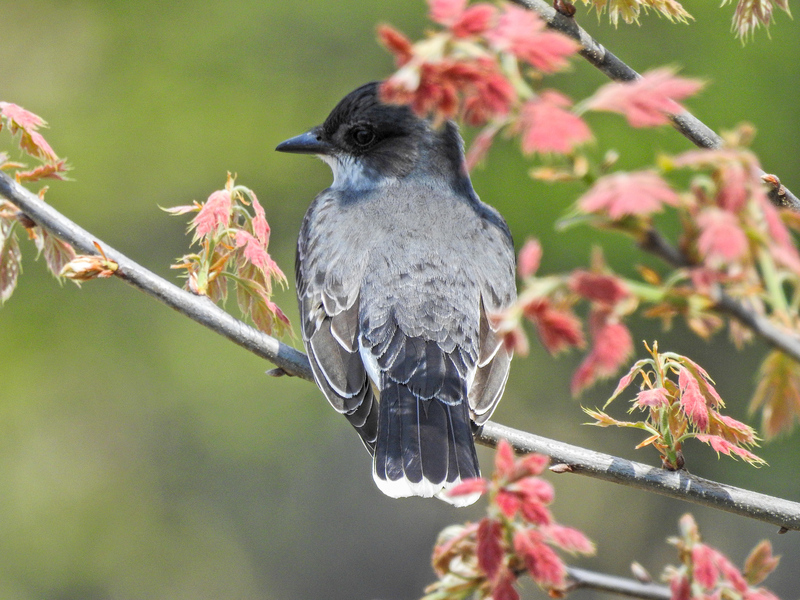 The P900 fills the frame with a warbler at 20 feet, and shows exceptional feather detail. 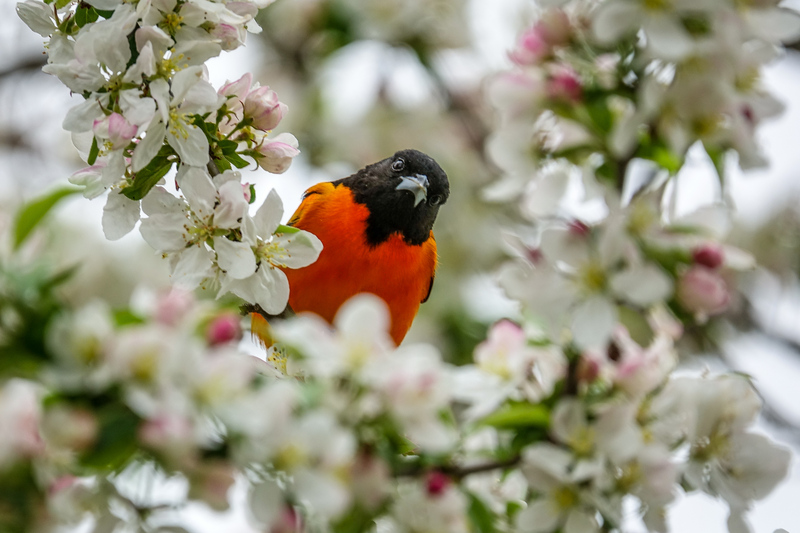 The RX10iii captures the beauty of the bird and its surroundings in a natural, attractive image. Then the lens…and the RX10iii is really all about the lens. This is, quite simply, as good a wide angle lens as I have ever used (and that includes the ZEISS Touit 12mm for the Sony Alpha APS-C series) and a totally amazing lens at 600mm and f4. Totally amazing! The resolution and sharpness are wonderful. The brightness and contrast are totally realistic. In in-camera processed jpegs, there is NO color fringing. The image stabilization (like that of the Nikon P series) is totally up to the task. You can hand-hold at 600mm…even 1200mm with digital enhancement or in-camera cropping (more on that later). ZEISS and Sony have really stepped it up on this design, and, imho, set a new standard for lens quality, certainly in the super-zoom class, and, I think, quite possibly in zoom lenses in general. Well done ZEISS and Sony! 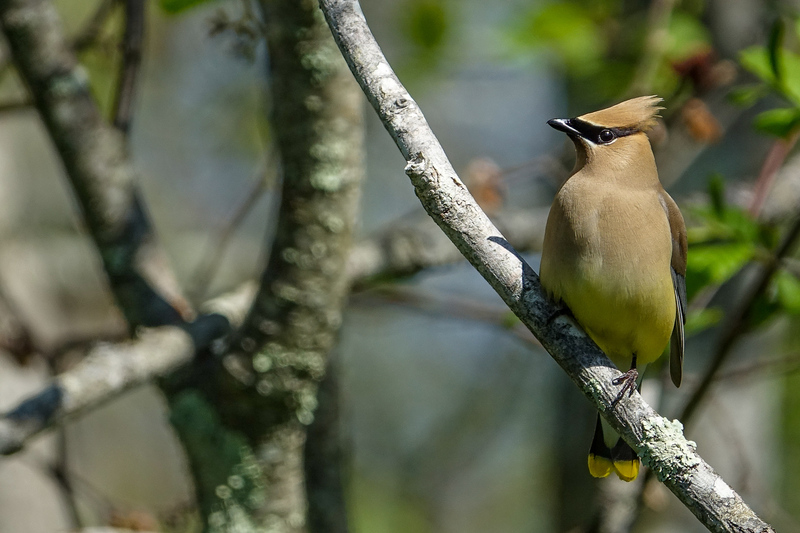 Cedar Waxwing. 1200mm equivalent (in-camera crop). But I come back to the beauty of the images…that indefinable something that makes them a pleasure to look at. It is addictive, and the more I shoot with the camera, the better I like it. Of course, being me, I have run some actual side by side tests with the HX90V for landscapes, and with the P610 and P900 for birds and wildlife (though finding a bird that would sit for me while I switched cameras proved to be a bit tricky…and I have not found one in and ideal situation yet.) I also tested the RX10iii using both Clear Image Zoom (digitally enhanced to reach 1200mm), and the Smart Digital Tel-converter function (in-camera cropping to achieve the same 1200mm field of view and image scale but in a 5mp image) to see if it could come close to…or even, maybe, equal…the resolution of the P610 at 1440mm and the P900 at 2000mm. Well I had to try, didn’t I? I have been missing a great macro camera since I moved on from the Canon SX50HS a few years ago. I like to shoot flowers, plant detail, and bugs…mostly dragonflies and butterflies, and the Canon, which focused to 4 feet at 1200mm equivalent, was the ideal tool. Then too the Canon had a digital tel-converter that you could kick in at any focal length…which made wide angle macro practical, since you could get the macro focus of the 24mm position, and the image scale and working distance of a 48mm equivalent. The RX10iii focuses to 28 inches at 600mm, and therefor offers almost the same image scale as the Canon at its closest. The Smart Digital Tel-converter will give you 5mp close-ups at twice that scale. Or, especially for macros where most of the image is taken up by the subject, you can use Clear Image Zoom for 20mp images, though with some added artifacts, at that same scale. (If you need 20mp, you can also use a program or plug-in in post-processing, like On1’s Resize 10, to enlarge the 5mp image back to 20mp, with very good results.) 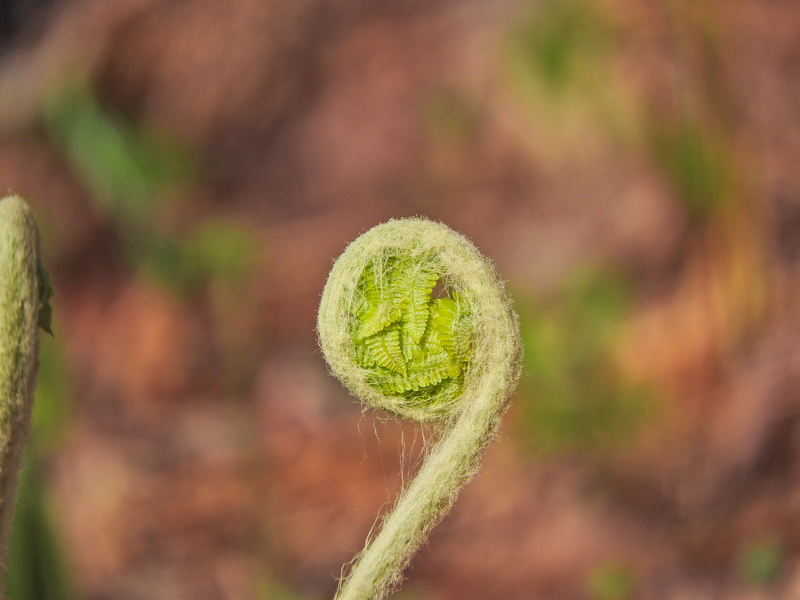 By the way, macro is a good place to use Direct Manual Focus (see below for more). 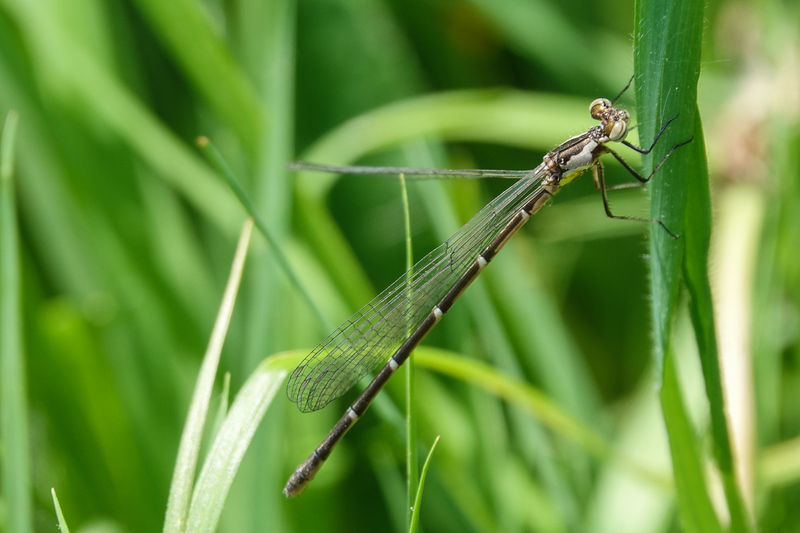 If you look back at the shot of the Aurora Damselfly above, you will see that the focus is precise on the head of the bug…sharp because I used DMF to focus exactly there. Whitetail Dragonfly (Frosted likely). 1.4x Smart Digital Tel-converter. DMF for fine focus. 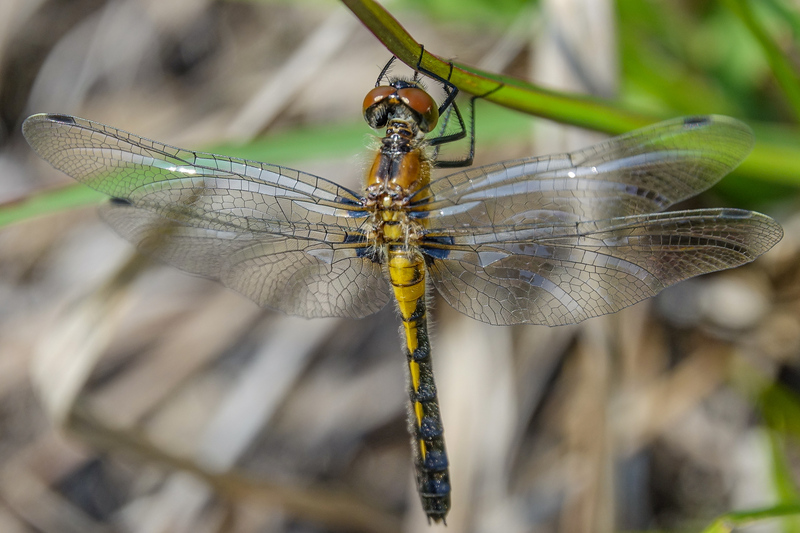 Teneral Chalk-fronted Corporal (dragonfly). 2x SDTC. (1200mm equivalent at 5mp.) From about 3 feet. Sony has the best implementation of in-camera HDR in the business. You can use Auto HDR, or you can choose 1 to 6 EV differences between the 3 images used to create the final HDR file. You can also set Creative Styles to suit you, and use Exposure Compensation to shift the mid-point of your three exposures. Look back at the waterfall shot above and note the caption. Then too, the in-camera program that aligns images is nothing short of amazing. In most cases it will be able to sort out some movement in the image…like reeds blowing in the wind, or water moving along the shoreline…without any “ghosting”. (Ghosting is what happens when the same object appears in the finished image twice, but slightly out of alignment, because it moved between exposures.) The three exposures have been taken fast enough for several Sony camera generations so that you do not need a tripod…but with the new sensor with the digital signal processor built in…the RX10iii is super fast. The HDR files from the RX10iii look good right out of the camera…and, with a bit of adjustment of levels in Lightroom (or similar) can be made to look completely natural…as close to the naked eye view as you are going to get with a digital camera. A good stiff breeze was moving the cattails in the foreground, but Sony HDR managed to sort it out. Here is a comparison crop from the HX90V and the RX10iii. Two in-camera HDRs taken seconds apart. HX90V on the left, RX10iii on the right. Processed with the same Lightroom preset. My original thinking was that the RX10iii would not have to compete with the Nikon P610 and P900 for birds and wildlife. It was replacing my HX90V…and perhaps my P610 for butterflies and dragonflies…but not my P900 for birds and wildlife. That, of course, was before I discovered how much fun the RX10iii is to shoot with…and how good the images look. Fun: The EVF on the RX10iii makes the EVF on the Nikon Ps look, well, dingy…and the EVF on the Ps is among the best of any P&S superzoom currently on the market. The Sony EVF is not like using and EVF at all. It is very close, in my opinion, to using an optical view finder. The image is so crisp and detailed, so bright and contrasty, that it is easy to find birds, even in a confusing background…way easier that in either Nikon P model. That means you are on birds faster and enjoy looking at them more. Fun. The RX10iii is also fast…13 frames per second…and the buffer clears within a second. High speed on the Nikons is 10 fps, and it takes 7 to 8 seconds for the buffer to clear. That is so annoying that I only use Low Speed Continuous on the Nikons, 2 fps. I had learned to live with it…but the Sony is just more fun. Sony’s implementation of Direct Manual Focus and the placement of the focus ring on the lens barrel is simply brilliant. (Not perfect, focus by wire using the electronic focus ring is not the same as mechanical focus, but brilliant all the same.) Setting the camera to DMF means that you still have auto focus, but you can override it at any time by just turning the focus ring. This means that, if the camera can’t find focus quickly, you can get it in the right ball-park using DMF, and then let Auto finish (in which case Auto will lock on almost instantly), or you can let Auto get you close, and then fine tune focus with the ring. In that case, when you have the shutter button half-pressed for focus, turning the focus ring also magnifies the image by an amount which you specify so you can really see what you are doing. (See the caption up above under Macro for how much help this is in shooting Macros.) Again, DMF adds to the fun factor. 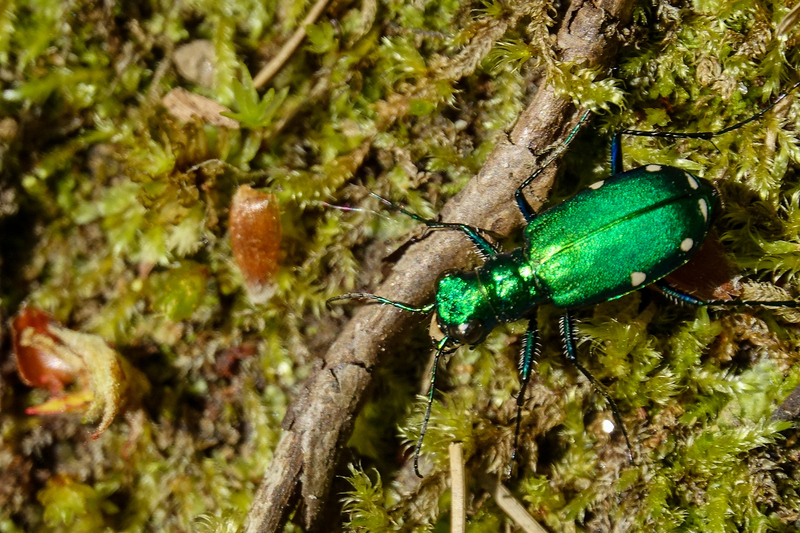 macro, with DMF aided focus. 1200mm from a 5mp in-camera crop (Smart Digital Tel-converter). 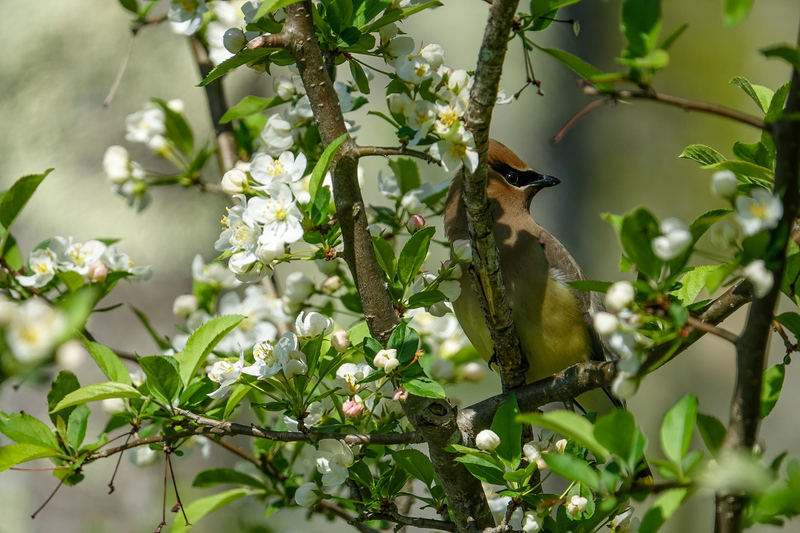 Cedar Waxwing in Apple Blossoms. DMF to the rescue! Images: I have enthused before already about the beauty of the RX10iii images when compared to the Nikon P series. Maybe it is just my eye…but I really, really like the why this Sony renders an image. 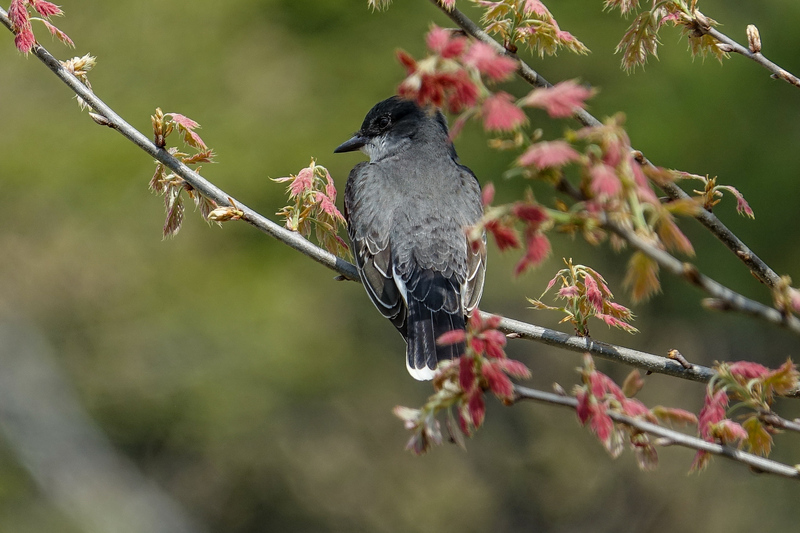 That said, I have been experimenting with the RX10iii for birds and wildlife. DMF is great, and the focus on the Sony is faster than the Nikon P900, but the P900 has a kind of magic built in that allows it to focus on the bird, even when the bird is mostly hidden by foreground foliage and twigs. In a similar case with the Sony, you have to resort of DMF. The time difference is not significant, since it often takes the Nikon P several tries, several shutter button half presses, to do its magic and you can get there with a twist of the focus ring and a single press on the Sony…but it is different. It is not magic! And of course there is a significant difference in the reach between any current P&S superzoom and the RX10iii’s paltry 600mm. There is nothing like reaching out with the P900 at 2000mm equivalent and absolutely filling the frame with a warbler at 20 feet! And the feather detail that the Nikon captures is simply amazing. (Or fur detail if not shooting birds.) The background of the photo might not look very appealing…it might be full of noise and sharpening artifacts, but who is going to notice that when the bird takes up most of the frame? To come even close to the P900’s reach, you have to resort to either Clear Image Zoom or to the Smart Digital Tel-converter on the Sony. Clear Image Zoom is similar to Perfect Image Zoom on the Nikons. It applies special processing to a crop from the center of the senor to provide the appearance of a longer focal length, and a full size image. On the Nikons it can push the zoom out to 2880mm on the P610, and 4000mm on the P900, with decent results. On the Sony CIZ pushes the zoom out to 1200mm, again, with quite good results. The Sony, however, will also just save that cropped portion of the sensor as a file…that is what Smart Digital Tel-converter does. You get a 5mp image, with no added digital artifacts, at 1200mm equivalent. I have experimented with both on the RX10iii to determine how close I can come to the detail offered by the P610 or P900. And the answer is, pretty close. 🙂 Due to the bigger sensor, and perhaps the better jpeg processing engine, CIZ at 1200mm comes very close to the level of detail that you get with the P610 at and optical zoom of 1440mm, and pretty much matches it a 1200mm, when you use the P610 (or P900 for that matter) at that optical focal lengh. At 600mm equivalent, full zoom on the Sony, or set to 600mm on the Nikons, the Sony wins hands down. At 2000mm the Nikon P900 offers considerably more image scale than the Sony, even stretched to 1200mm (fills more of the frame with your subject), and pretty amazing feather and fur detail. However, using the Smart Digital Tel-converter for a cropped 5mp image on the Sony, while it does not equal the scale, yields very similar feather and fur detail. It also produces a much cleaner image…with far fewer digital artifacts, especially in the background of the image. And there is the beauty factor. 2000mm optical zoom. Nikon P900. 1200mm. The image above, upscaled to 20mp using On1’s Resize 10 plug-in. The following gallery shows the results of comparison shots of the only really cooperative bird I could find…at ISO 100. Clicking the image will open the attachment page where there is a link to the full sized image at the bottom of the page (next to the magnifying glass). Left click the link to choose Open in a new tab, to compare two images by flipping back and forth between them. The next gallery shows the results of comparison shots of the same species…in subdued light…at ISOs of 400 and 500. The RX10iii 1200mm, 20mp shot is the 5mp shot upscaled in On1 Resize 10. The final shot is the RX10iii at 1200mm, but I moved closer to the bird by 4 feet, to achieve the same image scale as the P900 from it’s minimum focus distance of 16.5 feet. My conclusion is that the P900, overall, still does the best job for wildlife and birds, but considering everything I shoot, and everything else the RX10iii does so well, I could easily get away with just carrying the RX10iii. I can live with the 5mp cropped 1200mm equivalent, given the beauty of the images, and the fact that most of my images are posted to the web at 3mp anyway. And the On1 Resize 10 plug-in (which is so good that I actually purchased it) will, in fact, produce a full-sized, 20mp image, if and when I need it. 5mp image from above, upscaled to 20mp in On1’s Resize 10. Compare at full size by clicking for my WIEW site and using the size controls in the lower right hand corner of the page. I have been carrying two cameras for a while now…both the Nikon P900 and the Sony HX90V…to cover the range of my nature photography interests…from macros, to HDR lanscapes, to sweep panoramas, to tight shots of wildlife and birds. The RX10iii comes as close as any camera can to a one-camera-does-it-all solution for my needs. For macro and landscape it is simply wonderful…providing as much detail in beautiful, appealing images as I will ever need, and stretching out to 1200mm equivalent with excellent detail, and that same beauty of image, for wildlife and birds. All well and good, the Sony RX10iii may be a great camera, but, harkening back to the title of this review, is it really a Point and Shoot Superzoom? I always say Point and Shoot is an attitude not a class of equipment…and the way I will use the RX10iii is the same way I use any Point and Shoot superzoom. I will let the camera do as much as it reasonably can, using all the automation and all the jpeg processing features that Sony engineers have built in, and I will concentrate on finding the images worth capturing, and capturing them. Let the camera do all it can do, see, point, shoot, share. That is the Point and Shoot nature photographer’s mantra. And that leaves us with the question of whether a $1500 camera can be classed as a Point and Shoot? I could buy 3 Nikon P610s for that and have money left over for extra batteries, a charger, and as many SD cards as I might want. Part of my attraction to Point and Shoot is that it makes quality nature photography available to almost anyone who wants to give it a serious try. The $1500 price tag on the RX10iii puts it out of consideration for many beginning nature photographers, and many who are well beyond beginner. If your primary interest is bird photography, and occasional wildlife, you might still be better served by something like the Nikon P900. My P900 will be coming with me on any future nature photography trips. And if your budget, or your sense of thrift, will not stretch beyond $600, you can still be a successful and happy Point and Shoot nature photographer with any of several current superzoom offerings, in the $400-$600 range. Just let the camera do all it can, see, point, shoot, share, and enjoy. If your interests are wider, with a serious interest in everything from macro, through dramatic landscapes, to wildlife and birds: if you value a kind of ineffable beauty in the images you take; and if $1500 does not seem unreasonable to you, then I can safely predict that you are going to be just as over-the-top delighted with the RX10iii as I am. In fact, if I did not know better, I would think the engineers at ZEISS and Sony had me in mind when they designed the RX10iii. This is, in so many ways, my ideal camera. Wow, that’s an amazing camera! Your photos turned out beautiful! It will be on my future wish list for sure! Yet another extraordinarily coherent and articulate analysis of a very interesting topic. Steve, please keep your posts – fascinating read; I have a P900 and P610 and a Lumix FZ300 (also a never used SX60); have come to the identical conclusions about P&S vis-a-vis pretentious, posey huge lens DSLRs, hauled about by wealthy tourists and more-often-than-not producing out-of-focus and out-of-frame bird/wildlife shots. Go P&S! I own an RX10iii and agree completely with your assessment. One reason I don’t like the small sensor super zooms is the artifacts you mention about the P900 do bother me. The RX 100 is the walkabout camera I’ve been waiting for for years. Great review but no mention of shutter delay, the weakness of many P&S cameras for wildlife photography. How does the Sony do in absolute terms for shutter delay and how does it do in comparison with the Nikon and Canon? Another alternative to consider as a smaller than proDSLR with ~600mm is a Nikon V2 with the 70-300mm. It has the 1″ sensor and a 600+mm 35mm equivalent reach. It is not P&S but it has a very similar form factor (size and weight) and a similar price point. Would it not have better autofocus, frame rate and less shutter delay? Thanks Roger. The Nikon P series has no noticeable shutter delay if you half press the shutter to pre-focus, and the Rx10iii is even faster. Non-issue as far as I am concerned. For birds and wildlife the V1 and 70-300 would be a great combo…I would not expect any less shutter delay, but perhaps better focus, especially on moving targets. For general Nature photography though you would need at least 1 more lens (and maybe 2) to cover wide angles and macro. That puts the price out of the Sony range, and leaves you changing lenses in the field or missing opportunities. Then too I have never been impressed with Nikon’s implementation of things like HDR and Anti-motion blur which are important to me. It is not so much that the V1 isn’t a great camera…the Sony just meets my needs and style better. And Nikon 1 V series are in limbo! Well, what a great review. Thanks a lot. 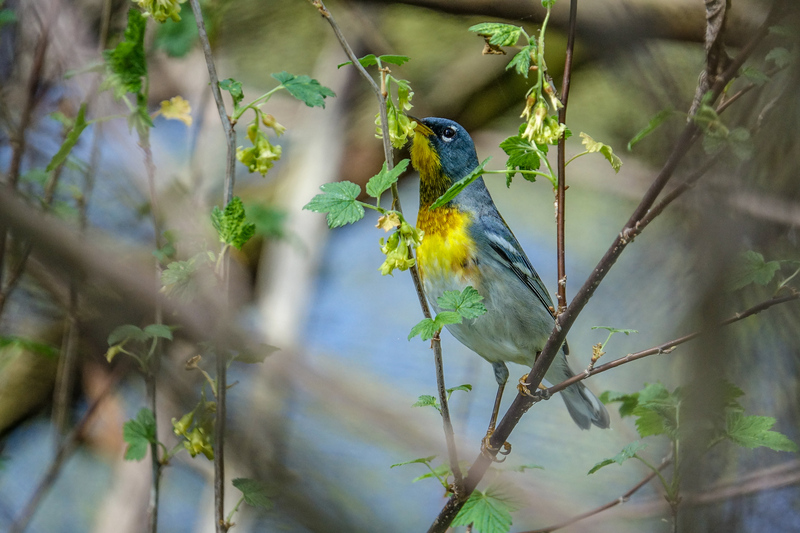 As a Sony A7s, nex 7 owner and some E and FE lenses, i was agonizing on the decision to buy Panasonic g85 or Nikon 1V3 for my birding passion. Large, expensive and heavy lenses are out of consideration due my back problems. I was evaluating the sony Rx10iii but 600 mm still seems a litte bit shorter for to get warblers and other small species. Did no know about Clear Image Zoon or Tel-converter. After watch your pics and explanations, decision has already done. Hope soon to share bird pics from Costa Rica on my nex RX10iii. According to the manual in ClearImage Zoom with S image size (5mb) digital zoom is not 2x, but4x. 2400mm equivalent? There are two different things: Clear image zoom goes to 2x, and resizes the image back to full resolution. Smart Digital Tel-converter takes a 5mp crop from the center of the sensor for 1200mm equivalent. That is image size set to full. I am not sure how it works if you set the image size to Small. ?? I own the Canon SX60 HS and think about buying the RX 10 III to improve the image quality. But…I need the long zoom to make pictures of birds that are far away. That’s why I am very interested in het quality of photos made by the RX 10 III set to Clear Image zoom and image size tot small (5mb) to reach the 4×600 mm (see my reply above). According to the manual CIZ should bring very decent quality and 5 mb is enough for the way I use the photos. Has anybody experience? I will give it a try today. It would be an interesting solution, though I am more tempted by the medium size setting! Thanks for your report! I would be happy to see the results of your trip to Africa! In this article your conclusion was that the P900 still does the best job for wildlife and birds. Would you say the same after your trip to Africa where you used the RX10 III intensively? The best thing about your review is the quality of your photos. So many reviewers on the web do good reviews, but their photos belie their abilities. Great bird shots. Now I wanna get the P900. Yeah, the Sony does look better, but I don’t think the Sony is worth 2-3x the P900. Plus you get the crazy 2000mm on the P900. Sold! I own a Fuji X-E2 which is a killer camera for the money especially when used. But you just can’t snap a 2000mm lens on it. But the Fuji X-E2 does look about the same as the Sony, but the Fuji is somewhat even better. Fuji has terrific rendering. I love Fuji, but I hear their superzooms are not that great. So I need….. Oh, hell. How important is IQ to you? How often will you use the 2000mm equiv? If high quality IQ is important then the RX10iii is the obvious choice. If you aren’t that picky and won’t be viewing images at 100% or printing very large then the P900 may satisfy you. I have a Nikon P900, would love to get the Sony RX10 III some day, but the price is holding me back. Do you know of any other camera that is similar quality to the Sony for a lower price? Image quality and zoom lens are important to me. I have been waiting for a new Canon superzoom, but haven’t seen it yet. Thanks. The new Panasonic 1 inch super zoom has similar image quality, but at shorter zoom. The Canon has the same zoom reach, but the IQ is not up to the Sony level, and it is an awkward camera to use. I love my RX10iii for general all around photography. 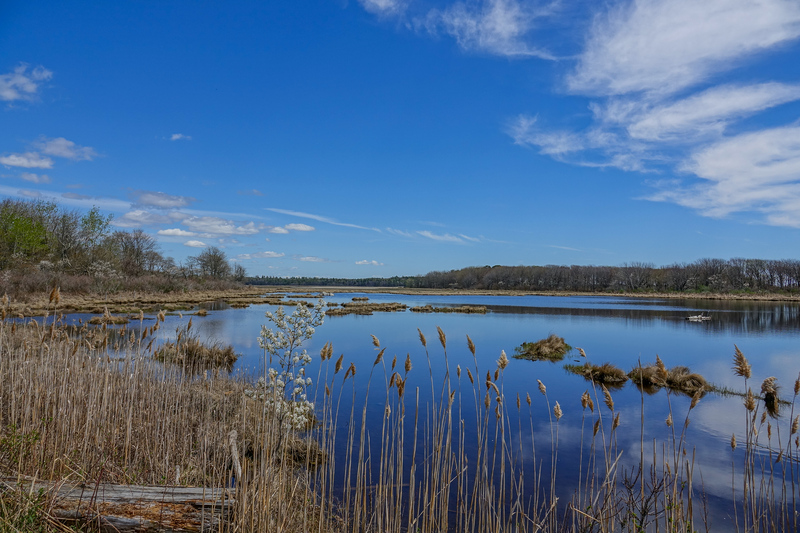 What dates will you be at the Magee Marsh in May? I will be there from 5/12-5/14 with my husband and son, hoping to see you there! Thank you for all the information. In the Netherlands we cycle a lot and in order not to miss a landscape or bird a powerzoom is really usefull. When I cycle I am able to visit places where cars cannot come. For this reason I recently bought a powershot sx 60 hs to use next to my rebel sl1. I used to have a nikon but with a zoom lens it wheighs more than 1 kg. Anyway I get great results with the canon but you have to use the right settings. You have to change to superfine JPEG (raw does not do very much) and teh colours to vivid. If you use the camera more you will get sharper and better results. The sony is an attractive offer but not for carrying around your neck all day since it wheighs 400 gram more. 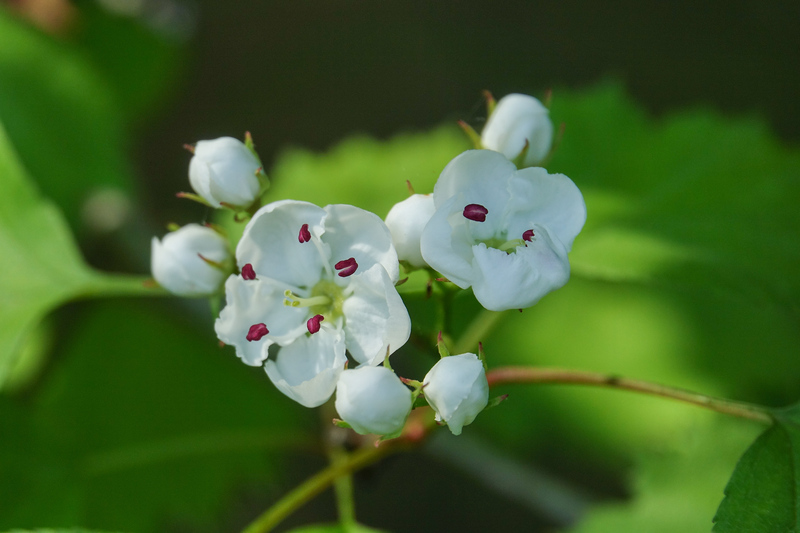 The image quality from the rebel sl1 is of course better if you look close but with the powershot you are able to take the shots which the rebel sl1 cannot take. So there is a trade off between boring pictures with great image quality or interesting pictures with good to reasonable quality. This has allways been the case with camera’s. Wonderful review, Steve! I liked every bit of it, but I’m still remaining to the P900 “bazooka” , as a forum member nicknamed it. One of the main reasons, you also mentioned above, is the price. I have been using the Sony RX 10 III for a month now. I like it so far. However I am still having a bit of camera focusing problem. Sometimes I can’t get it to focus on a subject. Also, Steve, do you set the minimum and maximum ISO on your camera, is it a good idea for wildlife or landscape photography to have it set at certain setting? I also can’t seem to have my landscape photos in sharp focus. It’s usually focus either the front or back picture, but not both, when I use the Scene mode. How do you get such sharp images in your landscape photos? Any tips or suggestions are greatly appreciated. Try different focus settings. I use “expandable spot focus” and it works well most of the time. When it does not, I use the DMF setting and prefocus with the lens collar, then, once the camera knows about where I want it to focus, auto focus will generally nail it. For landscapes, I use HDR mode, with the focus set to the same “expandable spot” mode and make the camera focus where I want it to. With the camera set to wide angle, you should have no depth of field issues. 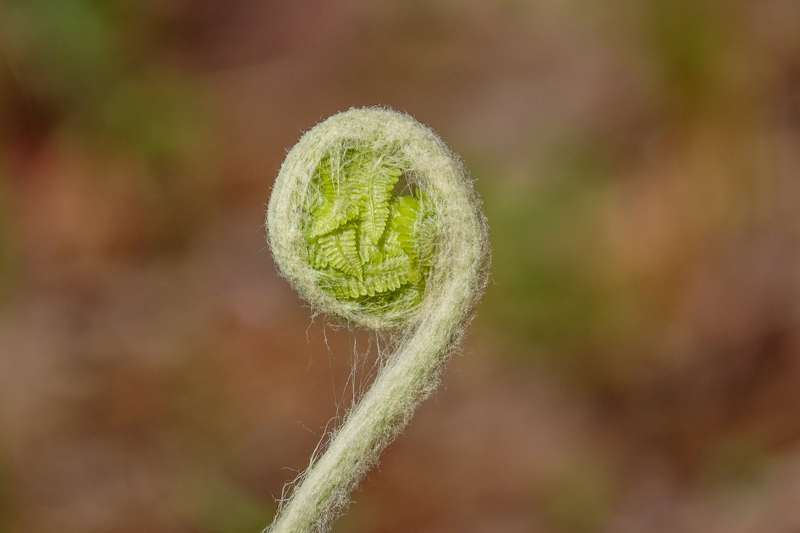 With it zoomed in, you may have to use “program shift” to get a smaller aperture and greater depth of field. Thanks so much Steve for your prompt response. I’m going to try to shoot some landscape photos and bird photos with your suggestions. I haven’t tried the HDR mode yet. I want to practice, so I can be ready when I go to Magee Marsh next month. There are still lots of things for me to learn about this new Sony camera. Do you think Program mode will be good for taking warbler photos there? I wanted to attend your workshop at Magee Marsh, but unfortunately I won’t get there until the morning of 5/12. Thanks again! I will practice some more landscape pictures tomorrow. The auto HDR is great! I also tried the Clear zoom image on the birds too, and the quality is not bad at all. I can’t wait to go to Magee Marsh next month. My family and I haven’t been there before. Hopefully we will see you there. Are you going to share your South America photos soon? My husband and I will go to Ecuador next year. Can’t wait to see your post and photos on your recent trip! Glad the settings worked for you. Practice is the key. 🙂 Here is a link to my Ecuador slideshow. The rest of the pics are in the same folder on my weiw.lightshedder.com site. Looked like you were able to get really close to the subjects in Galapagos! I love your street photos too, really nice! I haven’t tried taking street photos yet. Which tour did you use? My husband and I are going thru the San Jorge Ecolodges in Ecuador. Thanks for sharing the photos. I haven’t finished going thru all the photos yet–on the way to Joshua Tree National Park for more photo shooting practice. Free entrance to National Parks today.? Sounded like you had a great trip to South America! I can’t wait to go next year– will be my first time there. But I am not going to Galapagos, just in West Ecuador at three birding lodges. I just looked thru your Ecuador photos. Amazing! Your bird image photos are very sharp, and the colors are brilliant, especially the hummingbird photos. Did you set your camera ‘s auto ISO with a min to max ISO range or adjust the contrast/sharpening features? Thanks Steve for the information. I will look into Polarr for post-processing. Right now I am using the Sony post-processing program. But from what you said, Polarr has more features that I can use. I will look into the presets too, since right now it’s taking me forever to do post-processing, since I have to go thru each photo. You might like this eco-lodge birding tours in Ecuador. My husband and I are going there next year. Their lodges are great for bird photography. As Steve said, point and shoot is an attitude. I look at the RX10iii from a different perspective, that of a full frame Nikon D800E user. Last year, I decided not to take my D800E kit to Iceland and have never looked back. The image quality from Sony’s 1″ sensor is nothing short of incredible – right up to 13×19″ prints. But, you need to aporoach the camera from a DSLR mind set. For example, shooting raw a processing through a program like Lightroom provides a huge boost over JPEGs from the camera. Yes, it takes more work, but it is well worth it. Quite honestly the JPEGs from the RX10iii are so good I don’t think RAW is necessary. This is such a great review!!! I have been thinking about the RX10 iii as my single camera solution when not bringing my pro gear and also thought how it would compare to an SX50 on the long end or the P900…well you gave me all the answers I needed. I have been following your website for a number of years and own a HX400v for just about 2yrs.. A week after 2yrs warranty got over, the dreaded E62:10 error started coming. Looked at various suggestions on the web that didnt help to fix it.. I am currently in a dilemma whether to buy another HX400v(cost of repair is close enough to buying a new one) or RX10 M3 .. RX10M3 costs thrice/four times as much .. I love wildlife and birds and HX400v but sometimes felt it to be slow at focusing birds or clarity dimishing on zoom .. Thanks Steve. I do tend to use the zoom quite a bit for birds/animals . Though I found that clarity comes down beyond 600mm on HX400v . So wondering between RX10 iii or HX400v or Nikon P900(Did read your post on that as well) and now you also mentioned Nikon B700 ..
My main worry is what if Rx10 iii also starts giving the infamous error within a year or two of purchase just like HX400v did. Any more thoughts would help .. Both Nikon cameras are on the fragile side…nothing like the built quality of the Sony, especially the RX10III. It has only been out a year but no error reports reported yet. I’d recommend the Sony also. I use it for birds, wildlife and landscape photos and very happy with it. At the present time, I am looking for a “Do it All” camera for sailing and vacation photography. I am caught between the RX10iii with its Zeiss optics, or the New Tamron18-400 zoom lens attached to an entry to mid level Canikon body with its larger sensor. both setups have similar range and price. Which might you recommend? I used to own a Tamron 16-300 that I used on a high end APS-C camera. After I bought an RX10iii I sold the Tamron because the IQ of the RX was better. These superzooms are slow in aperture, slow to focus and soft, especially at the longer end. The P900 is one of the softest lenses I have ever seen at the long end. The HX400V is also very soft. Way softer than the RX10iii and totally unusable IMO. Maybe you had a bad sample of the P900, but mine was certainly sharp at 2000mm equivalent. Sharper than the HX400V at 1200…and my HX400V was pretty good. Maybe we have different expectations. Yes it’s probably about expectations. I’m extremely picky and tend to judge sharpness at 100% reaolution on screen because I often crop my images a lot. I have never owned a P900 but have viewed a lot of images on line. The following looks poor to me when viewed at 100% and it’s at only 1100mm. My RX10 looks very sharp at all focal lengths even when viewed at 100%.